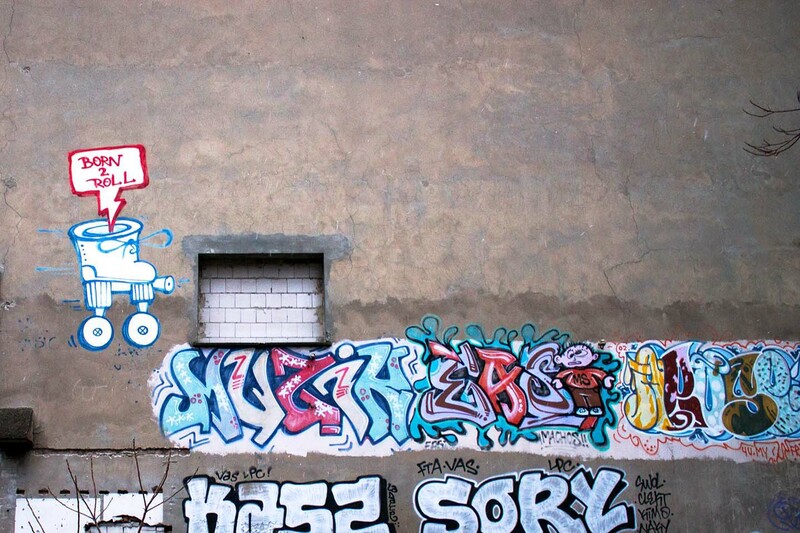 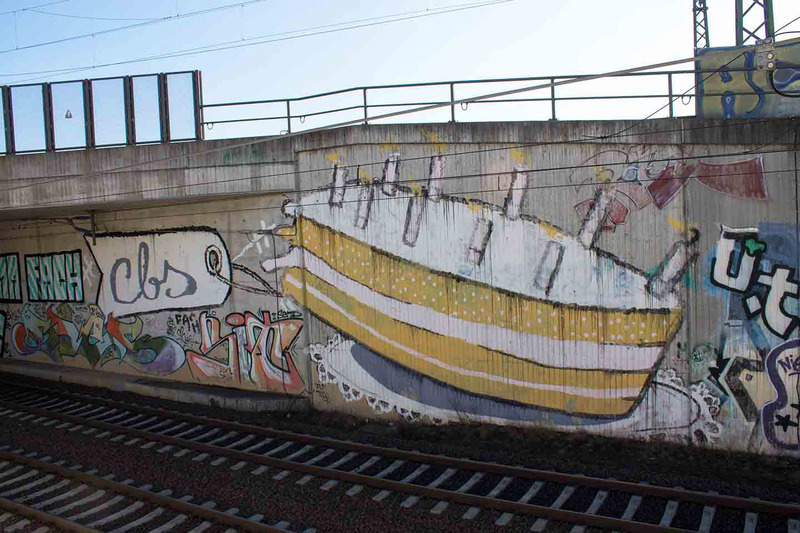 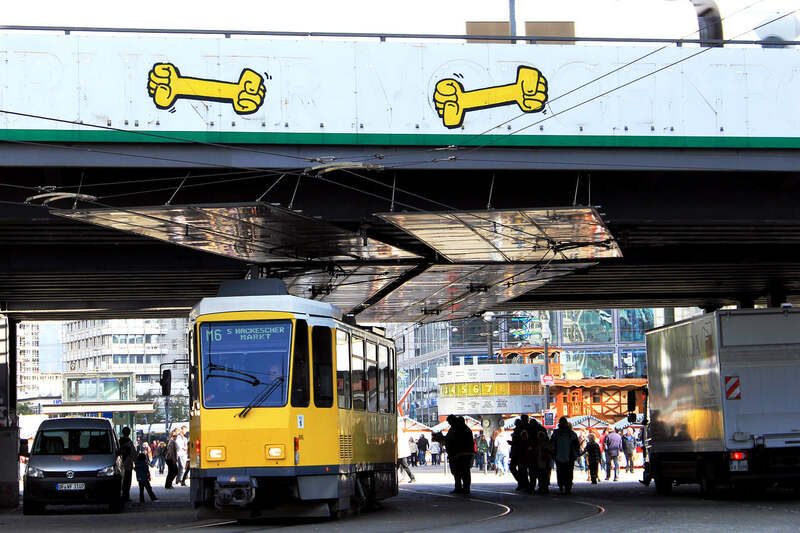 Every Berliner knows them, even people who have no idea of Street Art or Graffiti like little children or grannys: The yellow fists of Berlin based Graffiti Writer Kripoe from CBS Crew (CBS is the short form for Cowboys, a Graffiti Crew that was mainly active between 1995 and 2005. 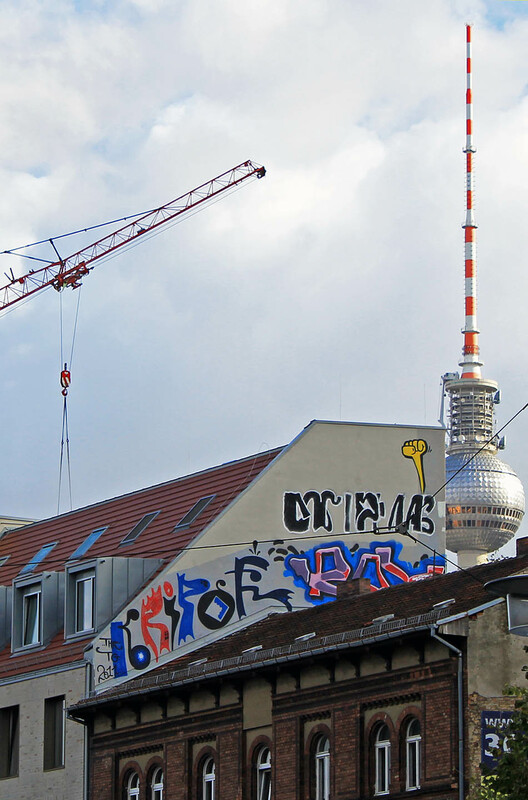 In 2005 the symbolic funeral was celebrated with almost 400 people). 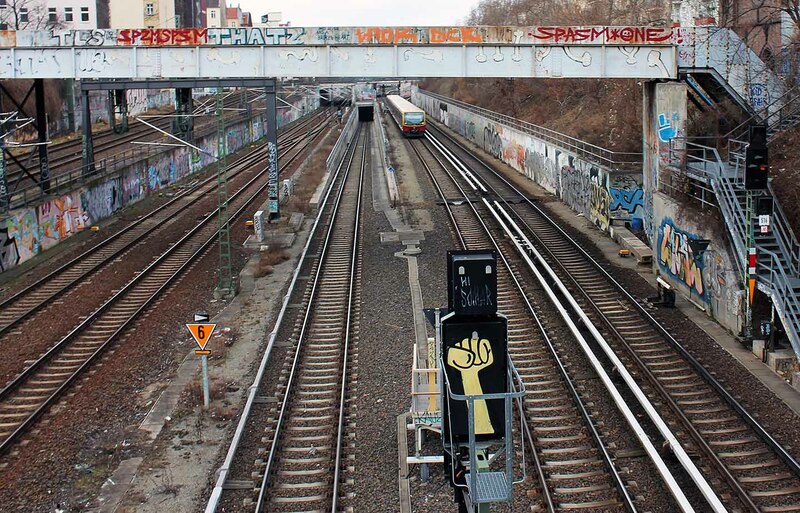 The yellow fists, a sign for rebellion, anarchy, are everywhere in the city, also at places you might not expect. 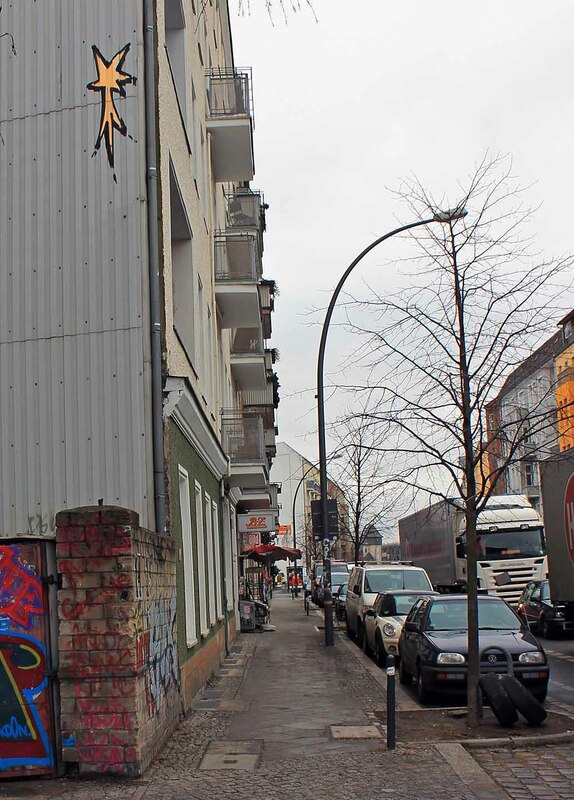 The placement of them are so crazy high and difficult to reach, that it is hard to imagine how Kripoe got to them. 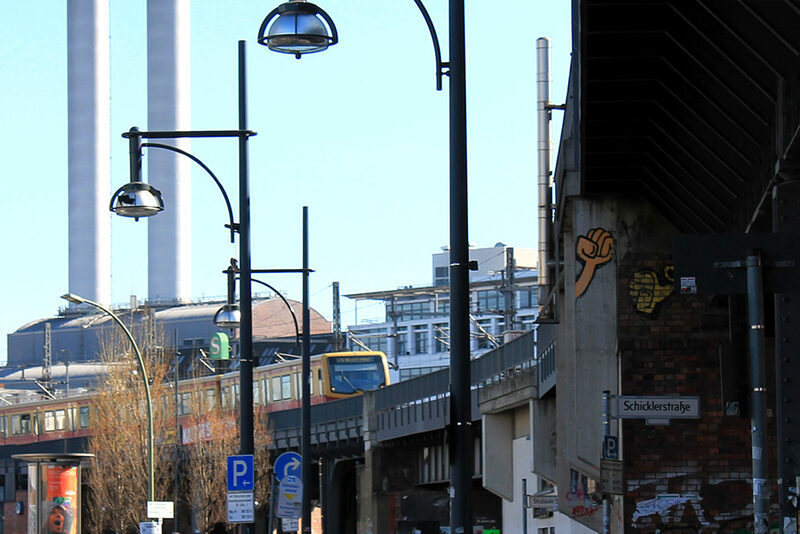 No wonder that the people are still discussing and a lot of rumors are going on, how the yellow fists came on to that almost impossible places all over Berlin. 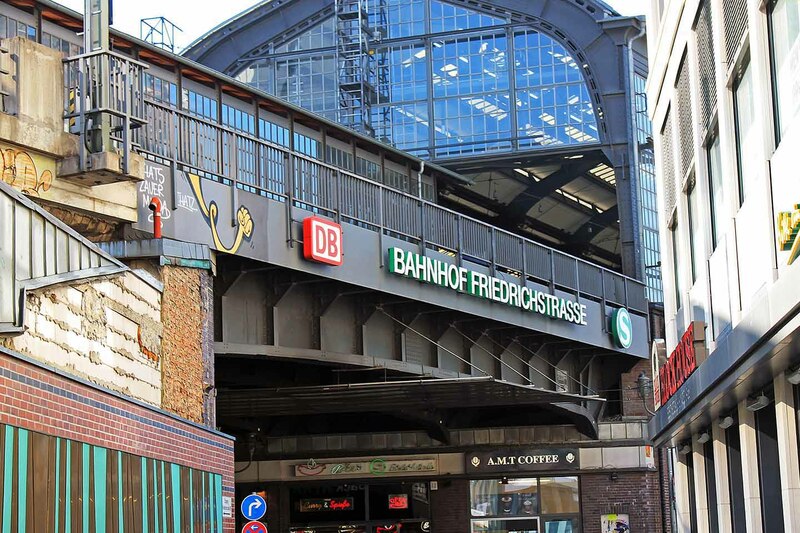 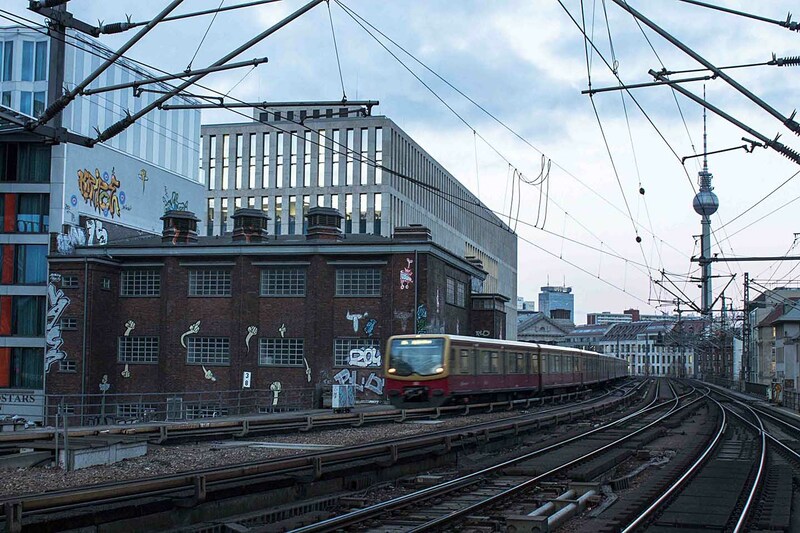 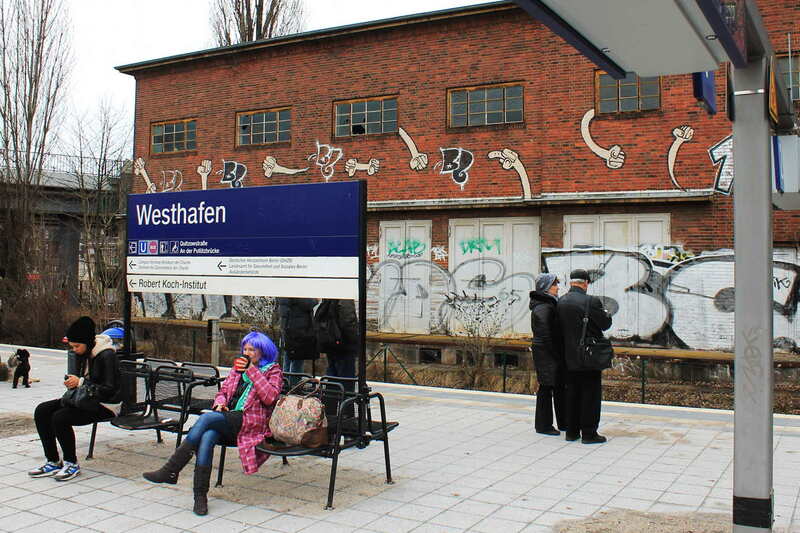 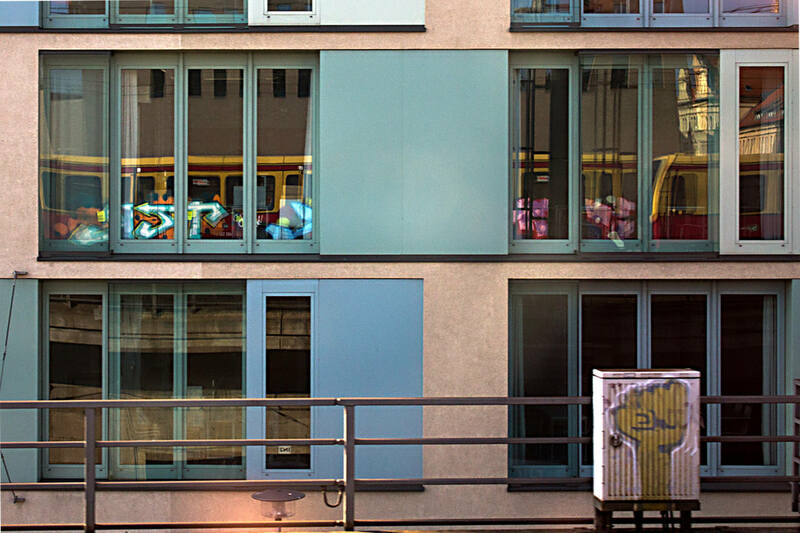 Kripoe is looking for the best spots, no matter if it is on the train tracks directly in front of the stations Alexanderplatz, Hauptbahnhof or Zoo, on signs that are standing in the middle of the Spree or on walls in 30 meter highness. 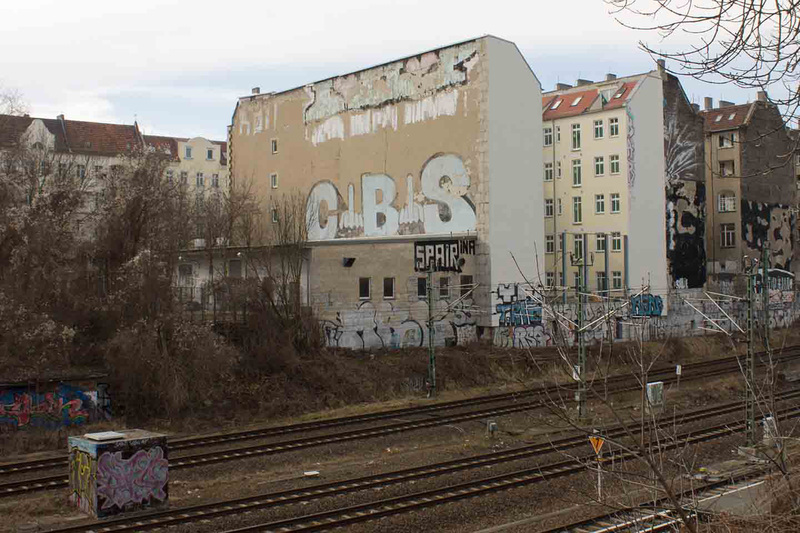 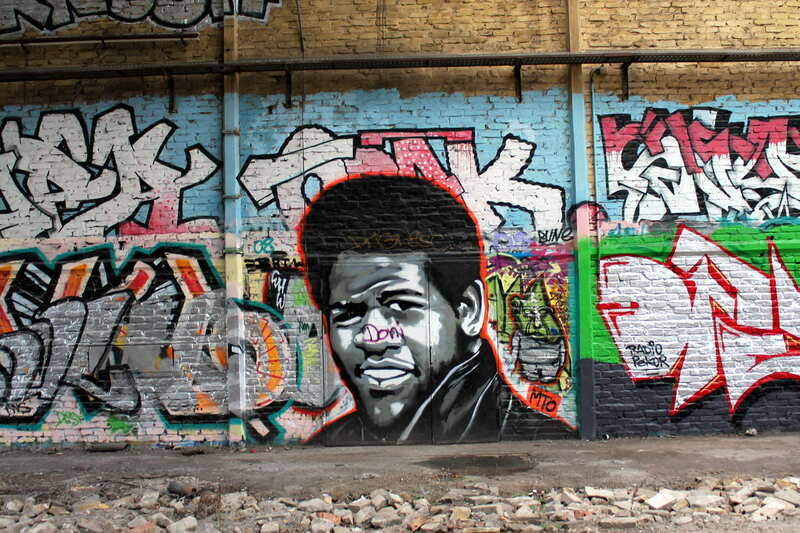 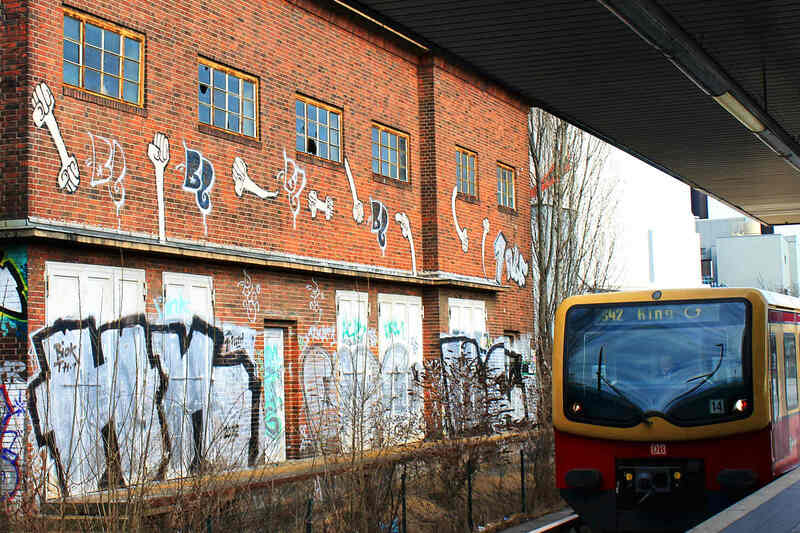 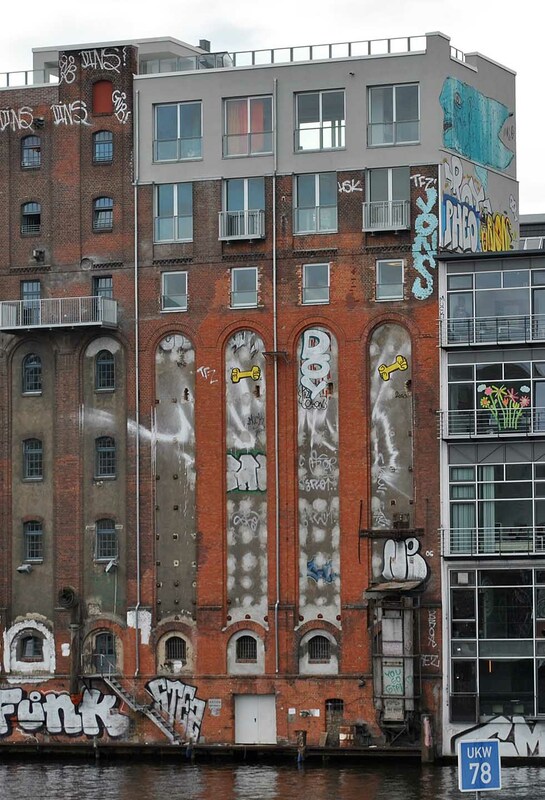 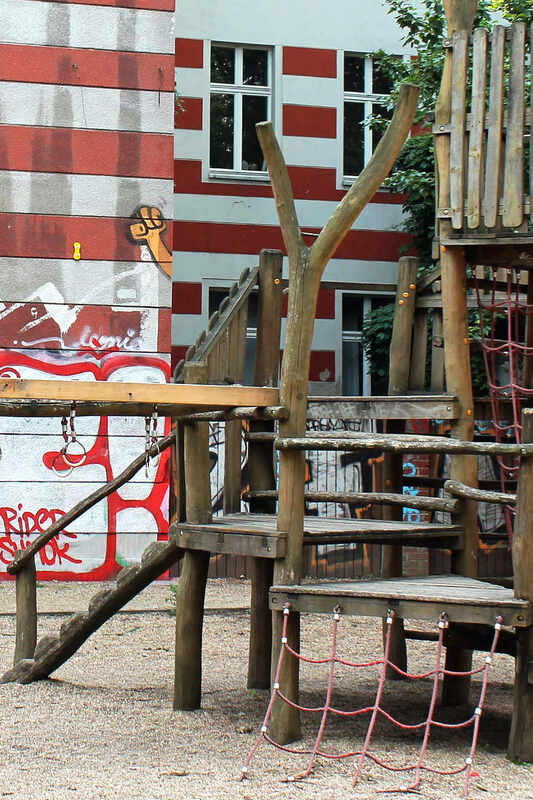 Kripoe risked his life and the chance to get busted more than once and is definitely one of the craziest Graffiti writer in Berlin and everyone, who has seen his works, knows what I mean. 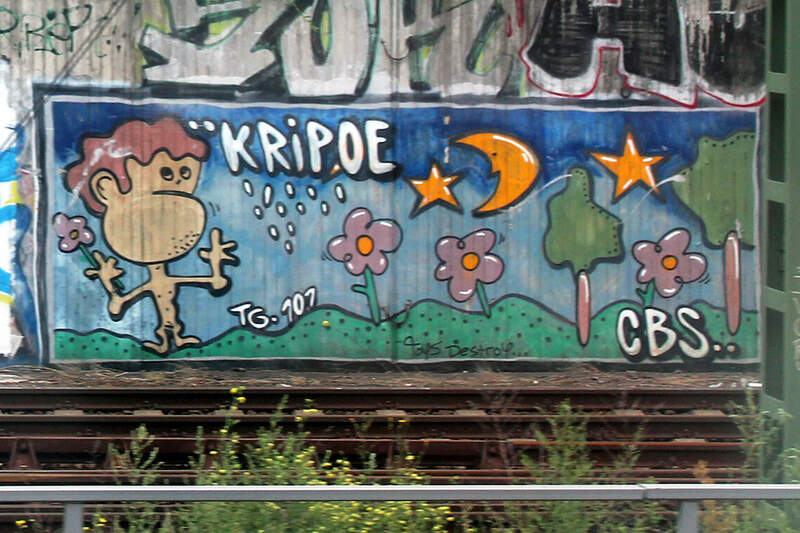 But Kripoe and the CBS crew have way more to offer than just the yellow fists, they also paint shooting stars, eyes, roller skates, sometimes also using stencils, stickers and posters and of course: great pieces in form of giant bombings or insane rooftops. 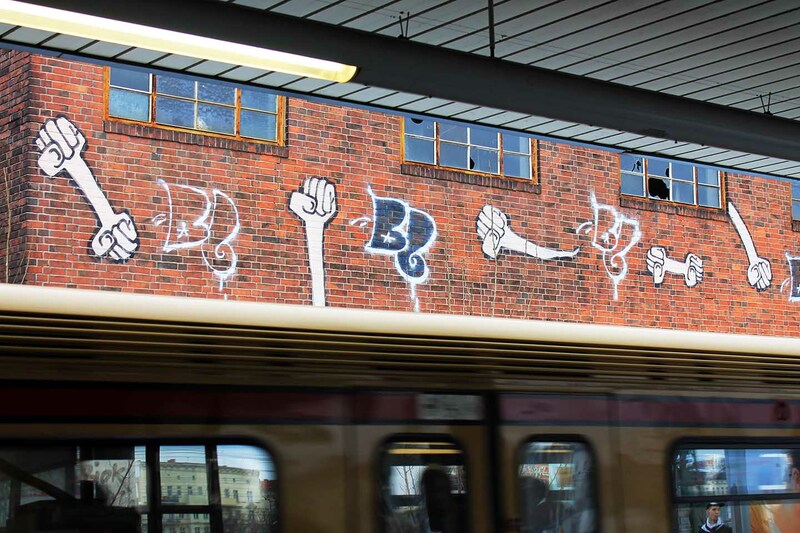 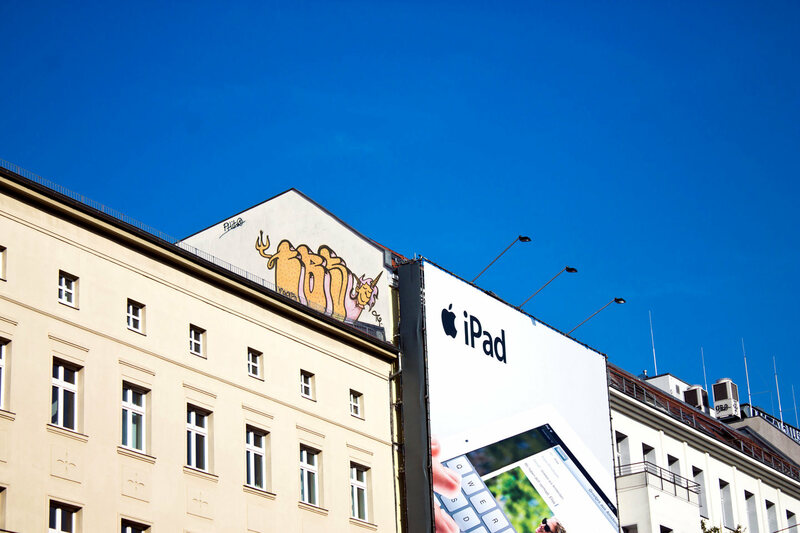 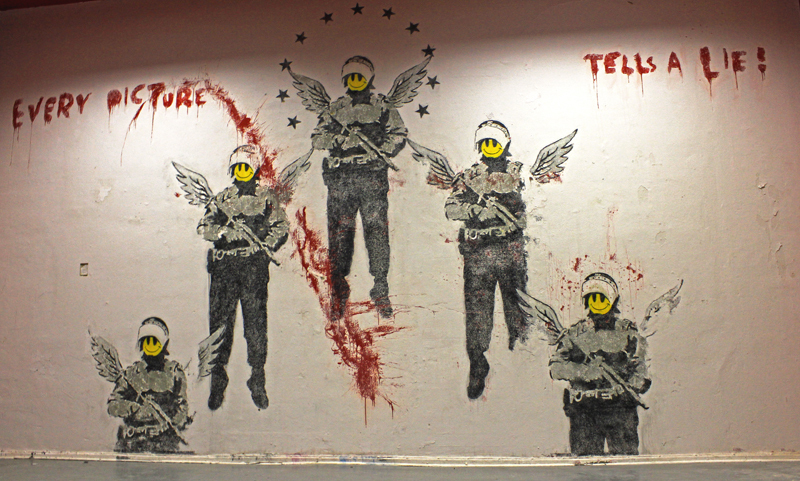 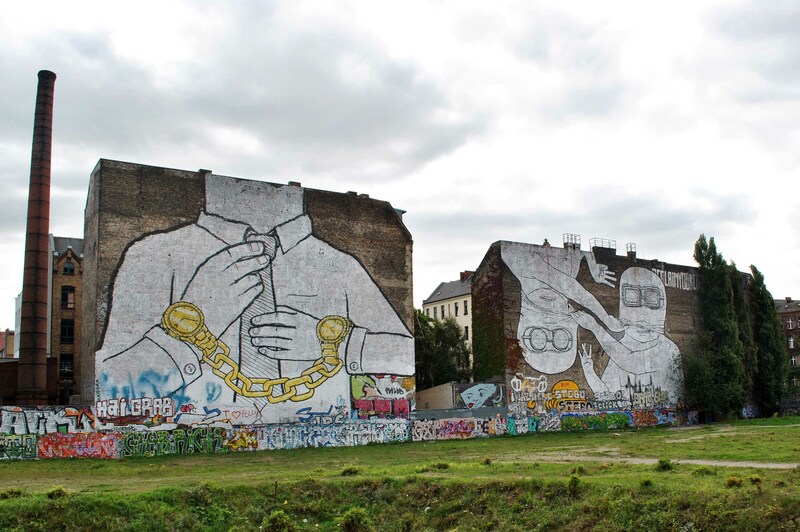 The yellow fists and a piece by Kripoe right next to the station Berlin Friedrichstr.